Startup businesses, online companies, social media personalities and YouTubers – these are all new buzzwords in today’s marketplace. Fresh graduates and young working alike are realizing that their career options go beyond conventional workplace. With this in mind, Calvary Youth – the youth ministry of Calvary Church, has embarked on an ambitious task of organizing the inaugural IGNITE Youth Startup Conference, featuring some of Malaysia’s young and successful entrepreneurs, business owners, online personalities and recording artists. 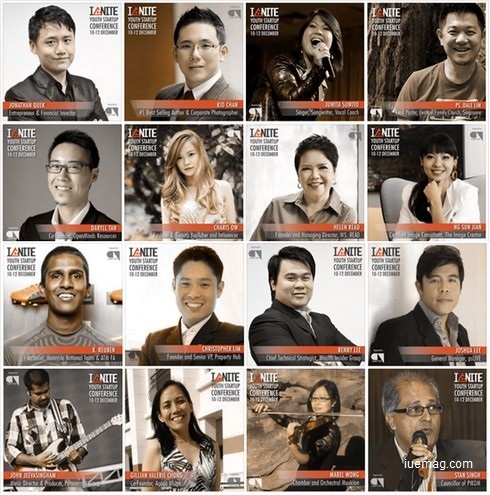 IGNITE Youth Startup Conference is a three-day conference and will be held from the 10th – 12thDecember 2015 at Calvary Convention Centre, Bukit Jalil, Kuala Lumpur. The programme includes plenaries, forums and breakout sessions catered to three tracks – Business, Music and Creative & Media. The objective of the IGNITE Youth Startup Conference is to provide a platform for the young people to engage with role models in their respective fields and to ignite a spark inspiration for them to pursue their dreams and personal passions in life. IGNITE Youth Startup Conference is open to youths aged 15 years old onwards, and young working adults are welcomed to join as well. Registration fee is inclusive of the delegate pack and lunch for three days. Participants can also opt to register in groups of five to enjoy group rates discounts. Registration can be made online at www.calvaryyouth.my/ignite, or through representatives of Calvary Youth. Calvary Youth is a ministry of Calvary Church dedicated to impacting our generation of youths to be successful adults. Committed to inspiring and developing youths of all backgrounds, Calvary Youth continues to invest in the lives of youths through teaching, coaching and mentoring. Any facts, figures or references stated here are made by the author & don't reflect the endorsement of iU at all times unless otherwise drafted by official staff at iU. This article was first published here on 3rd December 2015.